Bitdefender Internet Security 2012 is the one of best available Antivirus which has a powerful antivirus engine, a built-in firewall, antispam/antiphising, antimalware, parental control, etc..Bitdefender capitalizes on live and virtualized behavior-based detection, in addition to cloud-based services, to stop emerging e-threats that other products miss. 1.If you want the free license for one year,also if you are in Germany, Austria, or Switzerland just visit the following link. 2.Then Enter Your Email Address and CAPTCHA code and Then click the ‘Absenden’ . 3.After you have done the above steps, you will receive the email with One Year License Key of Bitdefender 2012 Internet Security. 4.Then download the setup file and use the Free License Serial Key of Bitdefender, you have received via Email. 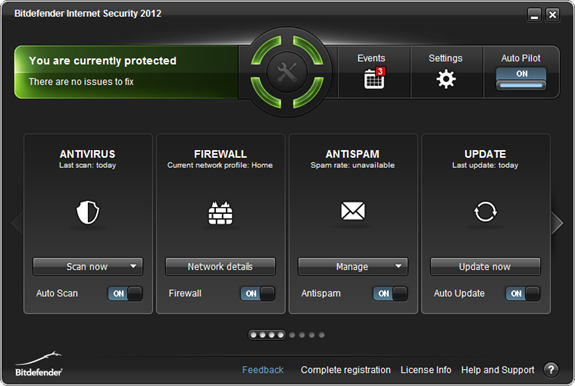 Kaspersky Internet Security 2012 (KIS 2012).